Apple is indeed working on a radical iPhone redesign that will ditch the home button, AppleInsider has learned, but consumers shouldn't expect to see such a drastic change to the company's handset within the next few years. A source who in the past has correctly shared information about Apple's future product plans indicated on Monday that Apple is indeed planning on removing the home button from future iPhone hardware. But they cautioned that such a change will not arrive within the next two years, leaving it as a long-term goal for the company. Much could change between now and then, including the effort being scrapped entirely. But it's easy to see why Apple would be pursuing a button-less bezel, as ditching the iPhone home button could allow for smaller and lighter handsets with an even more simple aesthetic. Apple would not, however, ditch the secure Touch ID fingerprint scanner found on its current iPhones, which is embedded into the home button. For that reason, it would have to develop new technology that would read a user's fingerprint from elsewhere on the device, such as on the touchscreen itself. 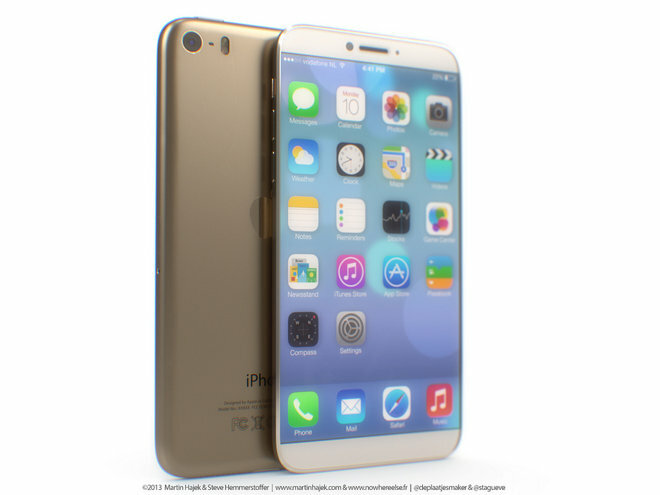 That's exactly what Apple is planning to do, according to a rumor that surfaced earlier Monday out of the Far East. Specifically, it was said that Apple is developing touch and display driver integration single-chip solutions for future iPhones that would include a fingerprint sensor in the handset's display. AppleInsider's own source reaffirmed that information, indicating that the company would like to remove the physical home button, but also suggesting that doing so presents technical challenges for the company. It's likely that finding a way to seamlessly integrate Touch ID into the iPhone's display remains a stumbling block for Apple, whether in terms of cost or just the limitations of currently available technology. 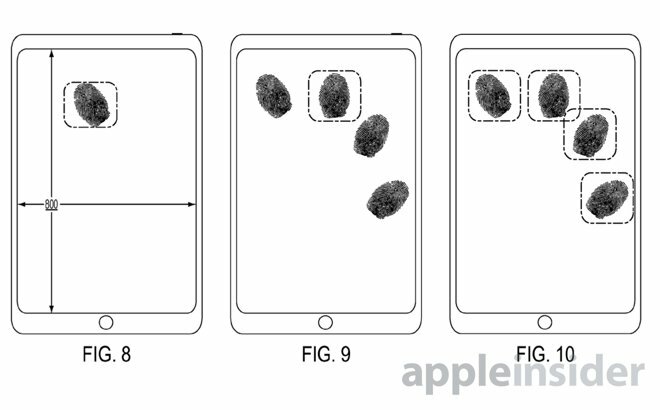 Apple's interest in moving fingerprint recognition to the display of an iPhone or iPad is not exactly a secret— the company has filed multiple patents in which it has described ways of accomplishing this. One filing from this February described a system that could capture multiple fingerprints at once, offering more enhanced security. What remains unknown is exactly how Apple might address the absence of the home button, which is currently crucial for a number of functions beyond Touch ID, including returning to the home screen, waking the display, and accessing the iOS quick app switcher. New input methods could be introduced that would replace the home button, such as the pressure sensitive Force Touch capabilities currently available on the Apple Watch and latest MacBooks. AppleInsider's own sources indicated back in February that this year's iPhone upgrade is expected to introduce Force Touch for new input methods, though obviously the home button will remain. In a simpler solution, Android phones have ditched dedicated buttons by introducing digital input options at the bottom of the touchscreen, something Apple could certainly do with a virtual home button. There are also gestures and multi-touch, which Apple already utilizes on the iPad, with four- and five-finger gestures for returning to the home screen and switching between apps. As for waking the screen, the recently released Apple Watch has a tap to wake function that illuminates the display with a simple tap. And with current hardware, the iPhone screen also illuminates when the lock button is pressed. Ditching the home button does pose a risk for Apple, though, in potentially axing the ease of use of the iPhone. One of the hallmark achievements of the iconic device is the single button on its face, which allows new users to quickly become accustomed to using their iPhone. 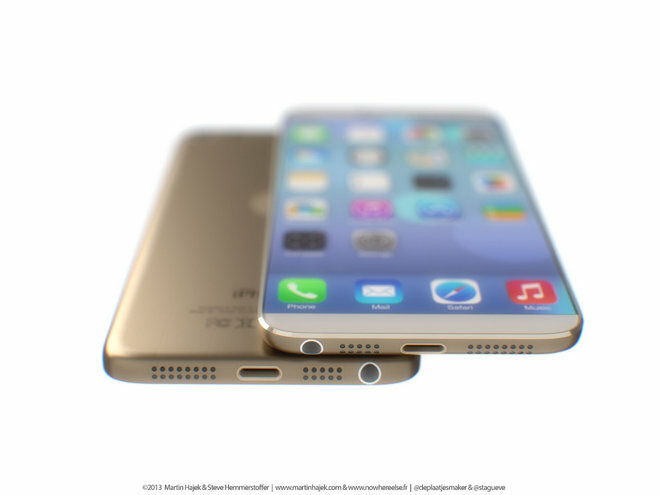 A new iPhone without a persistent hardware button might not be as user friendly for some.